I’ve signed up for a 31 day writing challenge. Everyday in October, I am posting a new slow cooker recipe, a link to a previous posted slow cooker recipe, or a link to a recipe from another blog. This pulled pork is super easy and only requires three ingredients. Yesterday I went on a field trip to the Freedom Center down in Cincinnati. 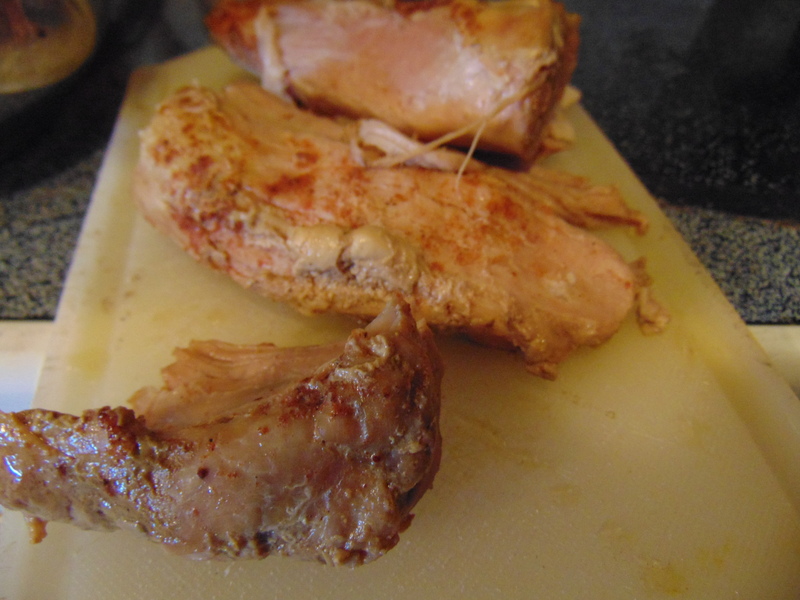 When I got home, I was exhausted so having the pork in the slow cooker made having dinner easier. 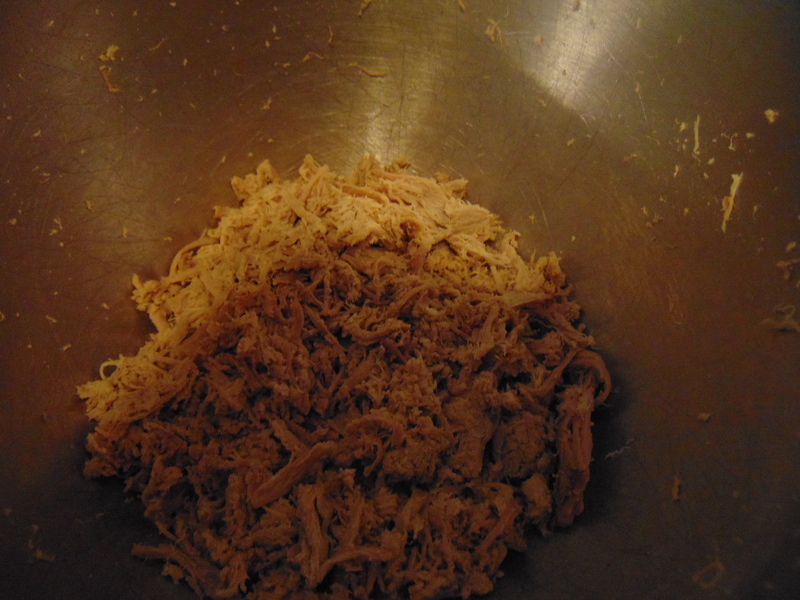 I shredded up the pork and then made some root beer barbecue sauce for the sandwiches. Imaginative One made some French fries to go with the sandwiches. The pulled pork sandwiches were such an easy dinner. I ended up freezing the remaining pulled pork for future meals. Sprinkle seasoning salt or barbecue seasoning blend over the pork. Pour the chicken broth over the pork. Pull the cooked pork out of the slow cooker. 2. 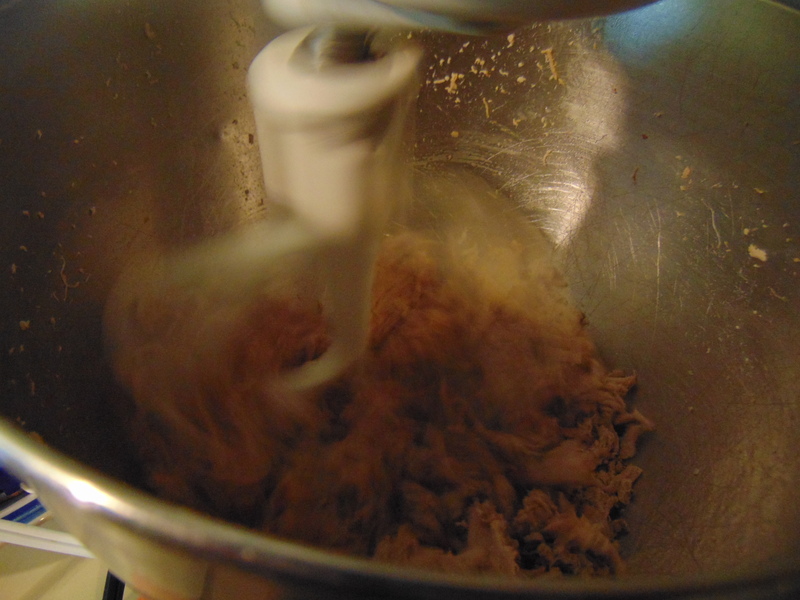 Place pork in a stand mixing bowl. Use the paddle to shred up the meat. 3. Put the shredded meat back in the slow cooker until you are ready to serve dinner. If you enjoyed this recipe, please share it on Facebook or Pinterest. Here is a link to my Facebook page and my Pinterest page.